Price Range: $1,500.00 and up. Used in rural communities by farmers to feed and water their animals, these simple limestone basins can be used as planters or as a garden accent. Made from limestone, many have simple carvings. 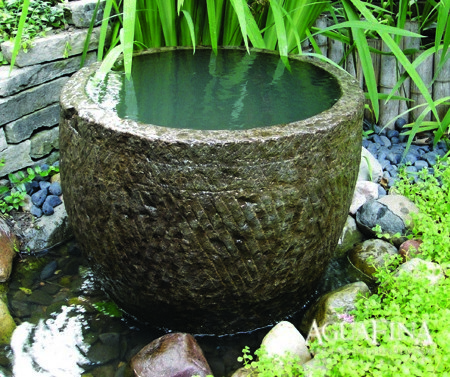 These can also be used as the centerpiece of a water feature as pictured. Sizes vary contact us for current inventory and pricing.